Today's technological landscape is completely different from the recent past. New generations of consumers use mobile technology as a natural extension of themselves. New technology is leading to changes in consumption patterns - in the retail world the role of the traditional store is changing as online and mobile shopping become more prevalent and different consumption modes overlap. Today's consumers want the ability to buy when and where they want. Players targeting the consumer health opportunity space need to anticipate what the world will look like several years in the future and what kind of solutions will be offered to consumers. Examining what types of markets, channels and technologies that can or should be targeted is key. Based on the expected outcome, companies need to decide where to be present and build the required capabilities. Cross-industry collaboration can also be expected to increase as a result of industry convergence. Consumer health is a broad definition, covering everything from a gym-goer aiming to stay healthy to a patient looking to manage a chronic disease. Consequently, it is composed of a number of business areas, ranging from the large and mature, such as over-the-counter (OTC) pharmaceutical sales, to expected fast-growth markets, such as wearables and mobile apps. The common denominator is that they are all centred on the patient/consumer. Within the consumer health space, the individual is paying the costs and making the decisions. On top of this, pressure on the public financing of classical healthcare provision is pushing patients towards more self-care. The increased prevalence of 'diseases of affluence' and an ageing population mean health systems must move from acute towards preventative care and chronic disease management. As this happens, healthcare and consumer health increasingly converge. Players within traditional healthcare systems will therefore need to adapt to consumer needs and requirements as new entrants step into the market from the consumer side. New entrants such as telecom operators, consumer electronics companies, retailers and facilities/housing companies will need to build adequate understanding of how to succeed in the highly regulated healthcare space, while leveraging their consumer insight and digital technology strengths. The actions required to reap the benefits of this development depend on existing capabilities, but it is clear that new business opportunities are available to both established healthcare players and new entrants. The qualities required to succeed are likely to be a combination of those possessed by the two. In order to capture consumers' interests, players already in the market need new perspectives, whereas new entrants need to ensure health knowledge and credibility. The consumer health space is naturally more oriented towards screening and prevention, and capturing consumers before they become patients. The successful business models of the future will be associated with giving a large population access to awareness and 'prevention' solutions. Innovation will clearly be a driving force here, in terms of both technology and the development of 'consumer-friendly' business models. The development of consumer health offers potential for healthcare players to make money outside their traditional business models and customer groups. Health service providers such as Mayo Clinic are using their health-related brand strength to expand into all types of health-related services and products aimed at both consumers and professionals. Just as it is possible for retail players to add healthcare capabilities to become health centres, it is also possible for professional health-service providers to dedicate space and time to consumer-driven business and achieve theme-oriented retail concepts. In Japan, 'anti-ageing clinics' are an attractive segment for younger doctors looking to broaden their medical offerings outside public coverage. However, the increased amount of information available to patients is not all positive. It also provides a huge challenge for healthcare as hypotheses are often developed from various sources and without clinical education. This tends to drive costs for healthcare as patients demand expensive examinations and tests even if they are not relevant. Healthcare providers that can provide their patients with information in a consumer-friendly manner could gain control by providing constructive information that aligns patient expectations with the medical reality. Hospitals can further respond by transforming into client-centred organisations that are always connected with their patients, both before they enter the hospital and after they leave. A best-practice example is Mayo Clinic, which proactively manages knowledge sharing and interaction with patients through online channels and social media. Traditional healthcare players should consider broadening their offerings to gain additional revenue and customer reach. There is also potential to partner with retail or consumer goods players that have to ensure they are delivering solutions that appeal to consumers. New players can leverage existing expertise from their original markets and use it for healthcare products and applications. Telecom operators, which are facing margin pressure in their core businesses, are looking towards connected devices, for example, for remote patient monitoring to be a strong revenue driver. Retailers are also rapidly moving into the health-related services market. One development here is the introduction of health centres where retailers incorporate professional medical services into their offerings. This repositioning of stores is an efficient way of attracting health-conscious customers looking for a one-stop shop where all their needs are met. A real-life example of this is the health station concept introduced by LAWSON, an Asian chain of convenience stores. A similar concept is also used by Walmart in the US, which provides low-cost primary-care doctor sessions in-store. Real estate owners and operators also see these 'health centres' as sources of profitable growth at a time when demand for retail space is reducing. There are also new types of businesses emerging. Companies such as LifeQ, which uses computational systems biology to provide consumers with actionable health information, are trying to fill gaps in existing solutions and thus enable a shift towards a patient-centric model. While new players might lack the credibility offered by a strong healthcare brand, those from the B2C space are strongly consumer-centric and have a deep understanding of their target groups, as well as products and technology that can potentially be leveraged for consumer health applications. For industries that border healthcare, such as food and beauty, consumer health represents a growth market as well as a way to create a positive brand image. Willingness to spend money on diet options perceived to be healthy is increasing enormously, and traditional food giants such as Nestlé are developing 'health brands'. After recent food scandals it has become vital for the giants to prove that their food is indeed healthy. One way of doing so is by clearly linking the brand to a healthcare value proposition. 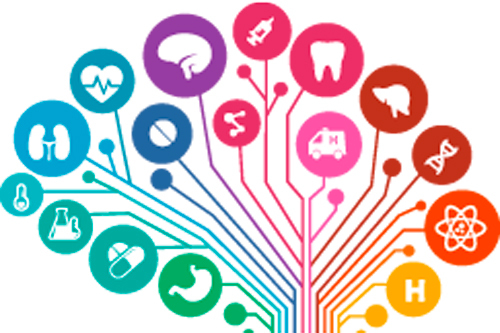 Future users of consumer health offerings need to be carefully segmented and understood. Today there are many means to shadow customer groups to identify their interests, needs, preferences and buying patterns. Big Data generated through mobile Internet applications enables companies to gain much better understanding of the target groups. Consumer understanding then needs to be combined with insight into medical and health developments to find technologies and products that match consumer demand.